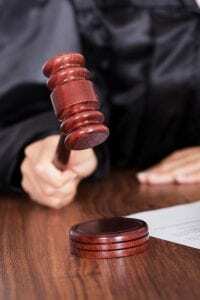 Judge or Jury: What’s Best for Your Personal Injury Trial? In this situation, the judge will decide whether or not you have proven your case and if so, how much compensation you are entitled to receive. The judge will make this determination after reviewing all of the evidence and deciding upon all of the issues of fact and law. Any other evidence brought into court to show that you are entitled to compensation from the defendant. In addition to issues of fact, the judge must also decide issues of law, such as, whether a statement or piece of evidence is admissible or not. Frequently during the trial, an attorney will make objections to a statement or pieces of evidence presented by the other side. These objections will be either sustained or overruled by the judge depending on whether or not he or she believe the evidence being presented is admissible. A piece of evidence is typically admissible if it does not violate the rules of the court or the defendant’s constitutional rights. If it does either, the evidence will be deemed inadmissible and will not be allowed in court. With a trial by jury in Nebraska, the judge still decides the issues of law, but a 6 or 12 person jury will decide issues of fact. In other words, the judge will decide which evidence is admissible and, based on that evidence, the jury will decide whether or not the defendant is liable to compensate you and to what extent. Most Nebraska personal injury clients choose to have their cases heard by a jury instead of a judge. Why a Jury Instead of a Judge? The general census through the legal system is that injury victims stand a much better chance of being fully compensated for their injuries if their case is being heard by a jury. This is not always true, of course. However, many attorneys believe that because judges hear thousands of cases every year, their opinions are often jaded. On the other hand, jury members are more open minded and can, therefore, be persuaded by the attorney’s argument. That’s being said, each personal injury case is different and you should consult with your personal injury attorney before deciding whether to have your case decided by a judge or jury. An experienced injury attorney will know the specific facts that are important to your case and can help you make a decision that will give you the best possible chance for success.